Here is a little gem that my brother found. He is working with cars a lot. And there is a special software he uses called VCDS (formerly VAG-COM) which is used for diagnostics and adjustments of cars. Mainly VW, Audi, Skoda and others. And it seems to contain a cool easter egg. 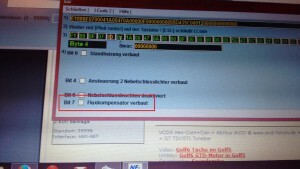 In one of the menus it offers the option to enable the flux capacitor (= Fluxkompensator in German). I heard that even though this would work in theory, you would still be short of 1.21 jigawatts to trigger the thing :-). On a side note: In the German dubbed version of the movie, they translated “Flux Capacitor” wrong. 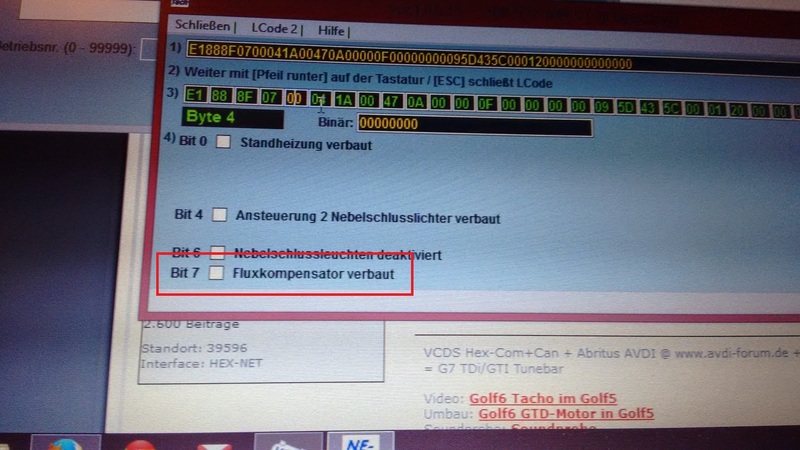 Fluxkompensator actually means flux compensator. Where it should heave been Fluxkondensator.